If you’re like many small business owners, your spouse helps out at the office. So why not make your spouse an official employee of the company? RETIREMENT PLANS – Your spouse will be entitled to retirement benefits from any qualified plan that your company provides regular employees. If you have a 401(k) plan, the company can match the contributions in whole or in part. Let’s say your wife is put on the payroll and paid a salary of $20,000. She contributes $5,000 to the company 401 (k) plan. Since your company matches 50 cents on the dollar, she sets aside $7,500 a year in her account. Assuming an 8% interest rate, your wife will accumulate $117,341 after 10 years. FRINGE BENEFITS – As a formal employee of your C corporation, your spouse is eligible for certain tax-free fringe benefits. For example, the corporation can protect your spouse with $50,000 of group term life insurance. Other options: educational assistance programs, company cars, the use of athletic facilities and health insurance. S Corporations can’t deduct fringe benefits provided to employees who own more than a 2% interest in the corporation. If you operate an S corporation, the IRS will treat you and your spouse as one person for this purpose. TRAVEL EXPENSES – Prior to 1994, you could deduct the travel expenses of a spouse who accompanied you on a business trip as long as there was a business purpose for her presence. But now you can only deduct your spouse’s travel expenses if she is also a forma employee of the business. By hiring your spouse, who may accompany you on business trips anyway, you can restore travel deductions that were previously lost. 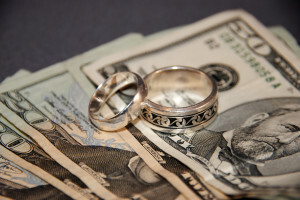 TAXES – Remember that spouses are subject to FICA and Medicare withholding which must be matched by the employer. But S corporation owners and sole proprietors don’t have to worry about corporate income tax. The income from those businesses is reported on the personal 1040 tax return. Therefore, the smaller the salary paid to your spouse, the higher the net income and less amount of payroll taxes.